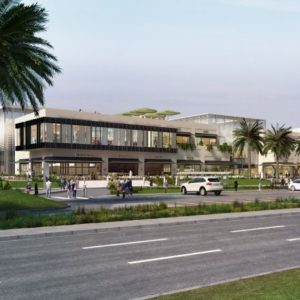 Regional and international F&B brands are set to debut in Sharjah at Zero 6, an upcoming 37,000m2 retail destination in Al Juraina, conceptualised and developed by Alef Group and set to open in Q4. The F&B offer will include Sapori di Bice, a casual chic Italian family dining concept, Burger Boutique, an organic burger outlet and Azkadenya, an Amman-based concept that serves authentic Jordanian and Middle Eastern dishes. Also gearing up to make Zero 6 their first home in Sharjah are chocolatiers, Godiva, and Angelina, a Parisian patisserie. Issa Attaya, managing director, Alef Group, said: “We wanted to bring in unique and reputed brands whose service offering aligns with the needs of our target audience. Anchor stores at Zero 6 will include a 7-screen Cineplex built by Cinema City featuring the largest IMAX screen in the UAE, Spinneys, Fun City and Fitness First Platinum, and retail stores include Zeiss Optics and Urban Male Lounge, a barber shop and day spa. “We have been experiencing high demand for retail leasing space at Zero 6 and, as we continue to add to our roster by bringing new and exciting brands on board, we look forward to providing visitors a complete, all-under-one-roof family experience when we open later this year,” Attaya added. Inspired by Sharjah’s telephone code, Zero 6 features a striking design that is sophisticated and contemporary. Located close to prominent landmarks and high-end residential areas, the retail and dining offerings are complemented by a range of leisure and entertainment attractions.